Hamamatsu Festival Pavilion is located inside the Enshunada Seaside Park which adjoins Nakatajima dunes where the Hamamatsu Festival kite-flying competition is held. The interior of the pavilion is composed of five zones, and there are exhibits on the history of the Hamamatsu Festival, the kite-making process, kites, happi coats and floats. In the kite exhibition hall, the fierce kite-flying competition held during the afternoon of the Hamamatsu festival is reproduced through a scene created using life-size kites and figures, as well as the sounds of brass instruments and the festival procession and high definition video, allowing visitors to experience fully the passion and excitement of the Hamamatsu Festival. 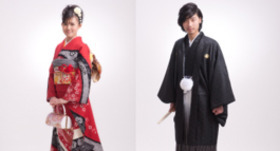 There are also happi coats provided for taking photos, so you can have a commemorative photo to recall the mood of the Hamamatsu Festival. In the float exhibition hall, models of floats from each era are on display. The full-size float made for the 80 year anniversary of the organization of Hamamatsu City is also on display. In the lobby you can experience making miniature kites. (*Advance reservations are required.) The staff will teach you all about how to make and fly the kites. Try building and flying your own kite to remember your visit by. In the reception area they also sell famous Hamamatsu cakes, miniature kites, T-shirts, badges, cellphone straps and other Hamamatsu Festival goods that you cannot buy anywhere else. 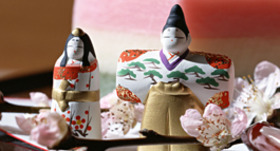 The Hamamatsu Festival is held for three days every year, from 5/3 to 5/5. Those who cannot visit at that time can experience it as though they were there through sights and sounds in the kite exhibition hall and the float exhibition hall. In particular, the kite exhibition hall with its ceiling decorated with kites has a power that photos alone cannot can convey and is sure to astound. [BUS] Take the "No.4 Nakatajima" line bus at bus stop #6 of the bus terminal to "Nakatajima Sakyu"